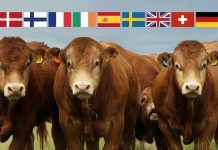 Limousin-bred cattle dominated a fantastic show of primestock at this year’s LiveScot event, held at Lanark Mart on Saturday 24th September, securing all the major championship titles. 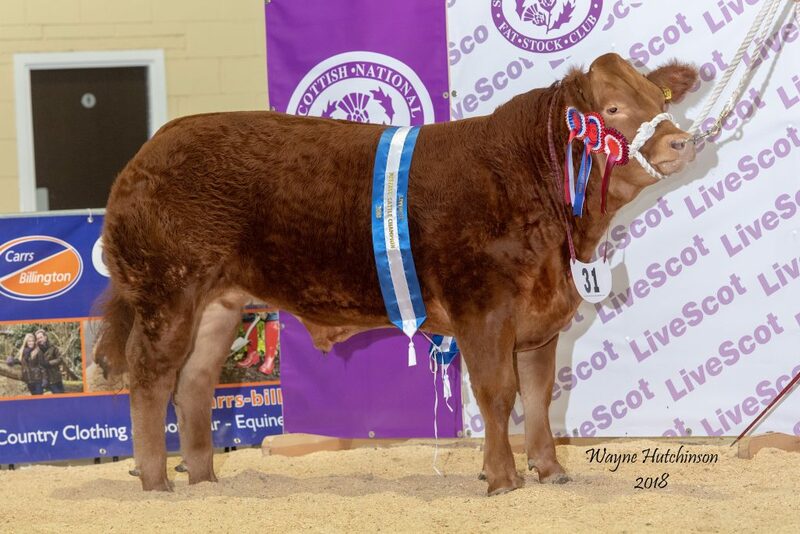 For his Champion, Mr Wareham selected A’dora Derriere, a 590kg Limousin cross heifer from Wilson Peters, of Cuilt Farmhouse, Monzie, Crieff, who was winning his third consecutive Overall Cattle Championship at the show. 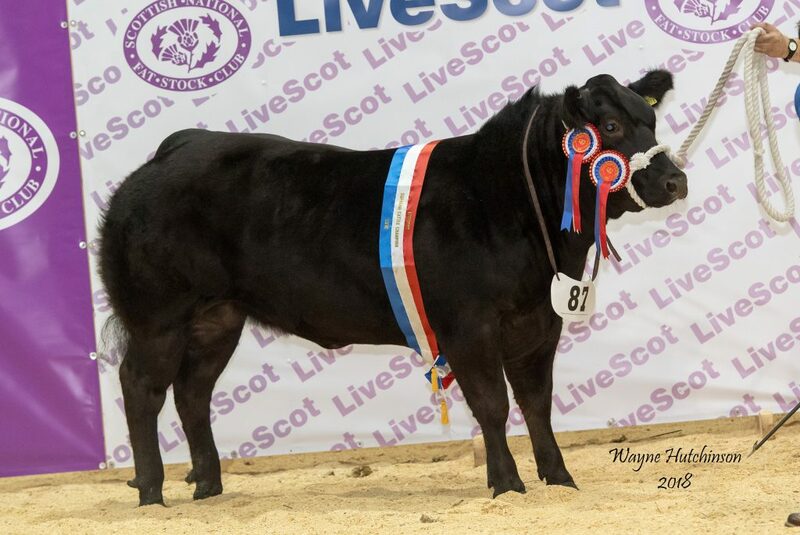 Sired by Powerhouse Harlequin and out of a Limousin cross dam, this heifer had been bought from the Royal Northern Spring Show at Thainstone, in March, from John and Craig Robertson, Newton of Logierait, Ballinluig. 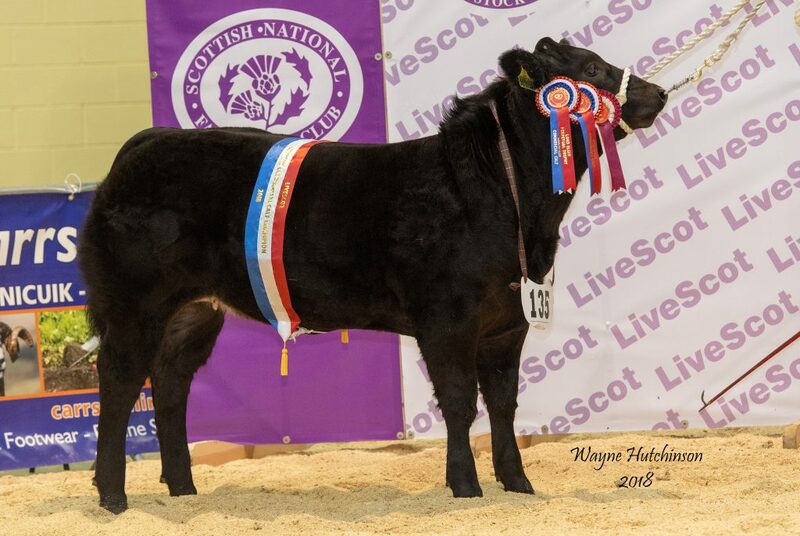 She had a successful summer show season earlier in the year, standing first at the Royal Highland and champion at Dunblane, Kirriemuir and Braco shows. 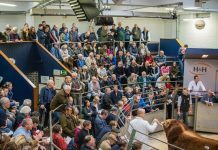 At the sale following the show, the Champion fetched £3300 in selling to North Yorkshire butchers B & T Kitson. 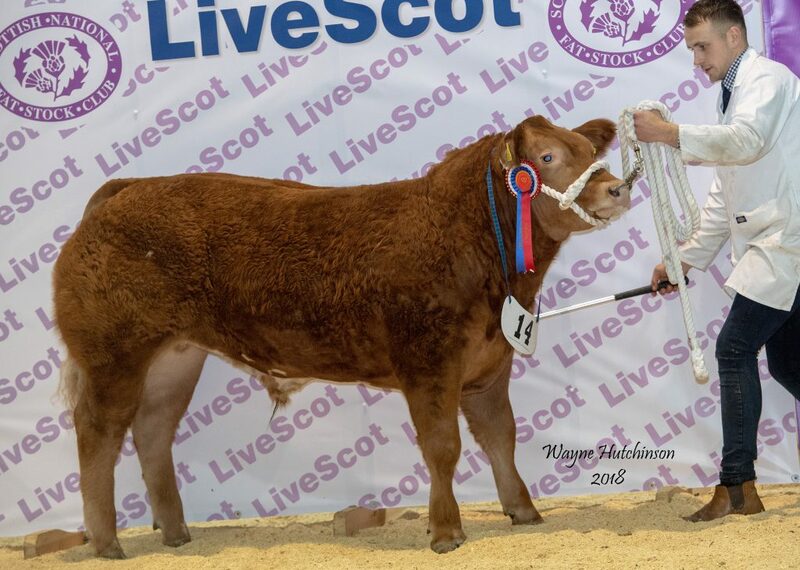 Reserve overall was the Steer Champion, Prince Harry, another Limousin cross, this time from Craig and Katreen Malone, Pitcairn Farm, Cardenden, Fife. 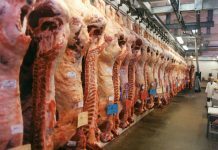 Bought at Caledonian Marts’ sale at Stirling from Shona Stevenson, this one weighed in at 586kg and went onto sell for £2200 to butchers, Howieson of Newmains. 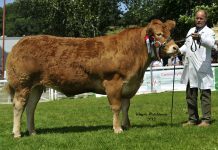 Reserve overall heifer was Too Glam To Give A Dam, a 652kg Limousin cross heifer from Alister and Liz Vance, Bridgehouse, Newton Stewart. Bought at Brecon in February, she was shown through the summer, winning several titles, including Interbreed Champion at Stranraer Show. 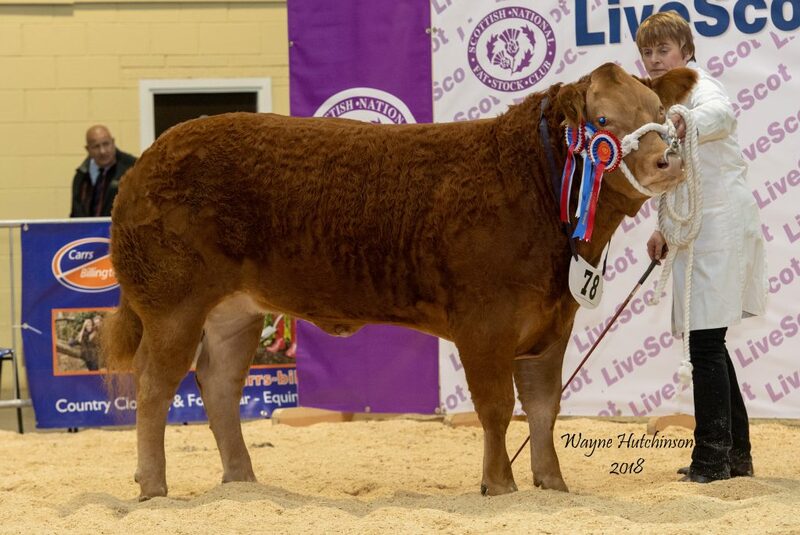 In the steers, the Reserve ticket went to Hugh Dunlop, Holehouse, Ochiltree, with Coolio, a home-bred 480kg Limousin cross, by Milbrook D’Artagnan, out of a Limousin cross dam. 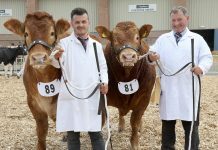 Adding to a successful day for the couple, the Commercial Calf Championship was also won by Craig and Katreen Malone, with a March-born Limousin cross heifer, She’s A Belter, bought from the Erskines at Gillbank Farm, Carluke, after Craig had spotted her while judging at Carnwath Show. She stood ahead of another Limousin cross heifer, Apples Shakira, also March-born, brought out by Ali Jackson, Maulscastle, Cummertrees, Annan. 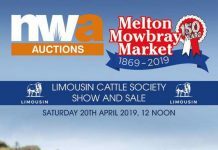 It was Limousins all the way in the butchers’ section too, with the Champion title going to Wilson Peters’ 562kg heifer, which had been bought from John McAllister, Wester Thomaston, Bonnybridge. 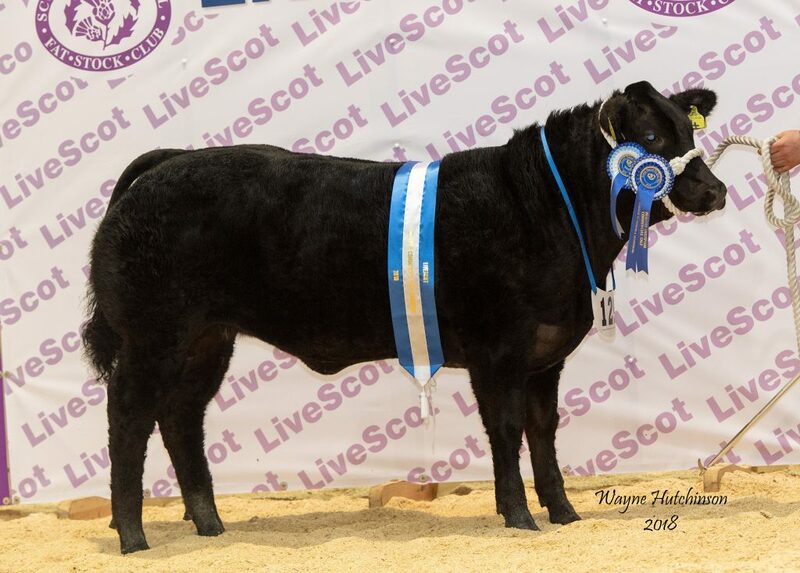 Reserve was a 595kg black Limousin cross steer, sired by Brims Jetset, from David Blair, Littleinch, Balmerino. 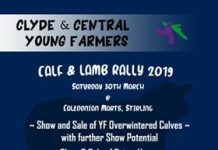 Reserve lightweight steer – Iain Lammie’s Candyman, a 502kg Limousin cross by Haltcliffe Donny. 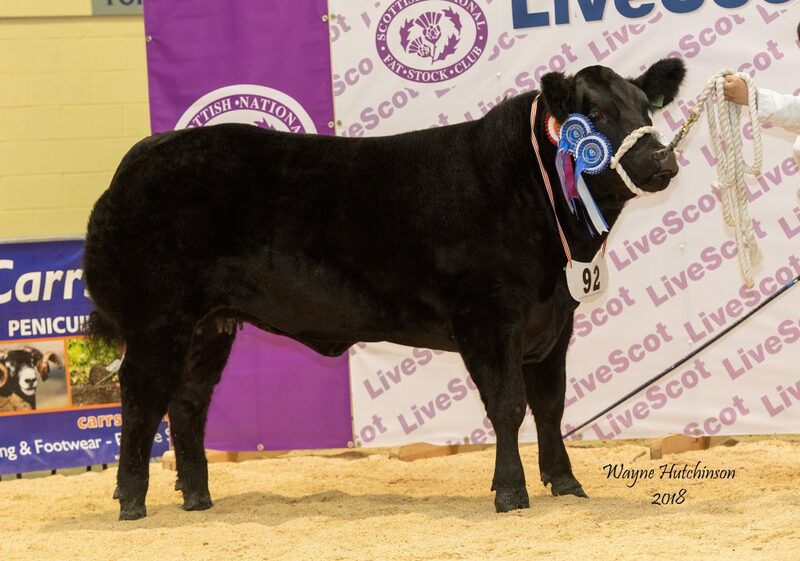 Reserve heavyweight steer – Messrs Little & Donaldson’s Midnight, a 646kg Limousin cross. 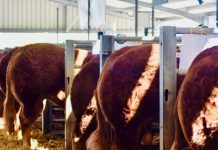 Lightweight heifer – Neil Slack’s Red Velvet, a 506kg Limousin cross by Rossignol. 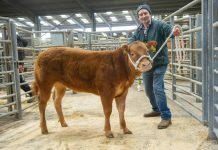 Reserve lightweight heifer – J McMillan & B Borlase’s Scally, a 490kg Limousin cross by Penthryn Jacob. Best pure continental – T Laird & Son’s Burnbank Neve, by Maraiscote Letisser.